[I]n the mystery of the Word made flesh, you have caused a new light to shine in our hearts, to give the knowledge of your glory in the face of your son Jesus Christ our Lord. These words, some of the most beautiful in the Book of Common Prayer (AKA the Book of Beautiful Words), are said in the context of Eucharist during the season of Epiphany, which begins today. 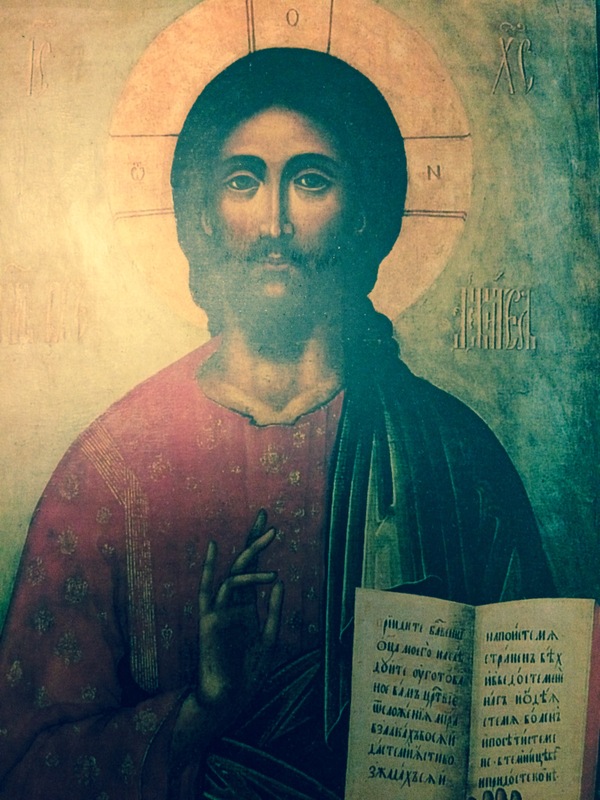 They celebrate the uniquely Christian view of Jesus of Nazareth, summed up by St. Paul in his letter to the Colossians: “In Him dwells all the fullness of the Godhead bodily” (2:9). This is that Christian thing, the thing that sounds like blasphemy to other monotheists, madness to atheists. Our rector preached a terrific sermon (which I assume will be up shortly) on Sunday about, among other things, the relationship between Christianity and Judaism. She said that as Christians, we believe what we believe and we have a right to do so. But that doesn’t mean, as Christians have tended to assume, that we should think of ourselves as right, or the best, God’s favorites. When I was inching my way back to faith in my mid-thirties, I considered converting to Judaism. In part it was because, while every religion has its wackos, the wacky-to-wise ratio seemed a lot lower in Judaism than Christianity. I sensed a beauty and depth in Judaism where Christians so often sounded shrill. In the end I decided that while I’d proved (amply) that I could ignore Jesus, I couldn’t renounce him altogether. So I had to accept that, as strange as Christians can be, my future lay with them. The Feast of the Epiphany is uncompromisingly Christian: we find the glory of God in the face of his Son, Jesus. Of course, in Judaism God’s glory is seen in a human face: when Moses descended from Sinai with the tablets of the Law, his face was so radiant he had to veil it, presumably to avoid freaking people out. But it was a reflected radiance; Christians believe that the radiance of Jesus’ face is his own. There is no greater blessing than to see the face of God, a blessing Jesus reserved for the “pure in heart” (Matthew 5:8). In Epiphany, Christians affirm that that face is the face of Christ: “God in man made manifest.” Over the years, I’ve spent a lot of time (really, a lot of time) imagining what it will be like to see that face for the first time. I’m sure we’re all in for a lot of surprises, but in the meantime, the most powerful experiences of God in my life have come from following Teresa’s simple advice: Just look at him. If you want to see the glory of God, you will find it there.